Frost & Sullivan, one of the world's top analyst organizations, granted RTI its 2019 Global Product Leadership Award. 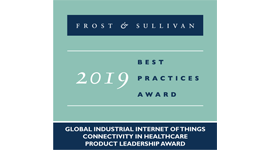 RTI was named the Global Product Leader for IIoT connectivity in the healthcare market. A rush of new products and services promise to make the famously un-secured Industrial IoT (IIoT) substantially more secure in the near future. Technologies such as 5G, IoT sensors and platforms, edge computing, AI and analytics, robotics, blockchain, additive manufacturing and virtual/augmented reality are coalescing into a fertile environment for the Industrial Internet of Things (IIoT). The RTI Connext® databus is a software framework that shares information in real time, making applications work together as one, integrated system. 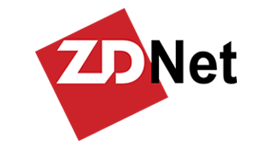 RTI is the largest vendor of products based on the Object Management Group (OMG) Data Distribution ServiceTM (DDS) standard. The following are registered trademarks or service marks of Real-Time Innovations, Inc.
Use of the above marks without the written permission of Real-Time Innovations, Inc. is prohibited. All other trademarks, registered trademarks, and servicemarks used on the RTI website and other printed material are the property of their respective owners. Any questions regarding trademark information and references should be directed to info@rti.com.